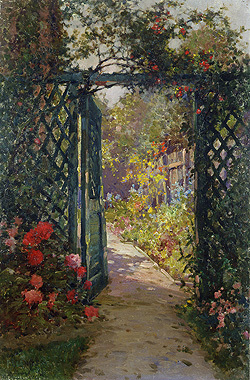 The English garden was a source of inspiration for writers, poets and artists throughout the centuries and never was the subject more romanced then during the Victorian era. 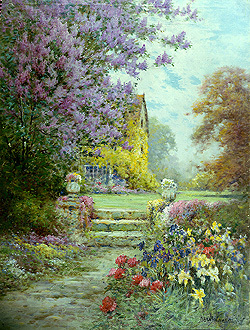 The Victorian garden – whether formal or informal - was an important part of manor and cottage life. 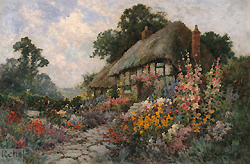 The image that normally comes to one’s mind when the words ‘Victorian garden’ are used is a quaint thatched cottage surrounded with lupins, lilies, hollyhocks, pansies and other colorful flora. 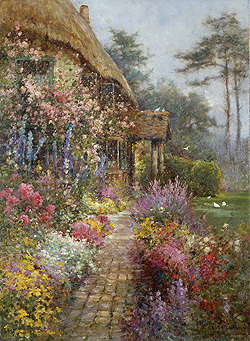 However, the garden was also used to grow vegetables and fruits and both were often planted in the same area. 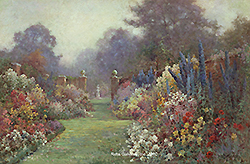 These peaceful and colorful gardens were one of the favorite locations for the Victorian artist Alfred Fontville de Breanski, Jr. (1877-1957). 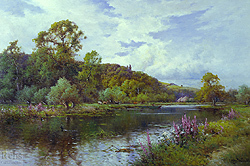 The son and pupil of Alfred de Breanski, Sr., the well-known Victorian landscape artist, Alfred Jr., like his father, often painted the mountainous landscapes of Scotland and Wales concentrating on the effects of sunlight on the Highland scenery at different times of the day. His work was readily confused with that of his father's, and he would often sign his works A.F. 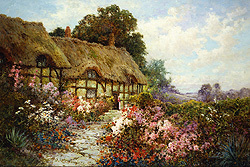 de Breanski, A.F. 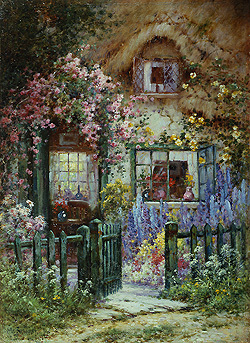 de Breanski, Jr., or A. Fontville. 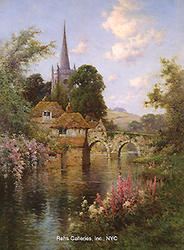 It is also believed that he painted a number of still life paintings under the name Gustave Courtier. 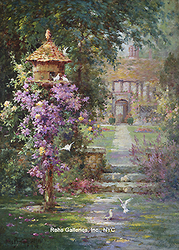 It was during the 1905 – 1920 period that de Breanski painted a series of beautiful English garden scenes done in a colorful, impressionistic, style. 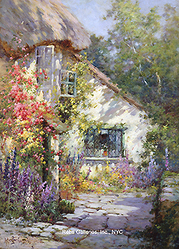 The works are filled with light and color and were very popular during his lifetime. 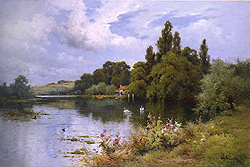 Even today, they are among the most sought after works by the artist. 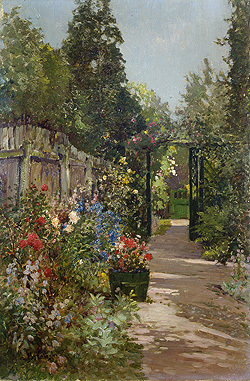 De Breanski, Jr. exhibited several works at the Royal Society of British Artists and the Royal Academy (RA) during his lifetime, included among these were A Cottage Garden (1907, RA), Summer (1912, RA), Willows (1914, RA) and Autumn Gold (1917, RA). 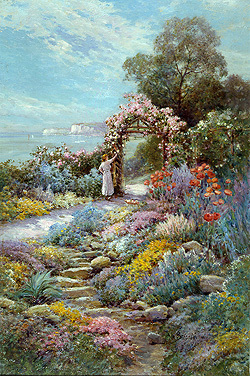 We trust you will enjoy this glimpse into the Victorian garden!